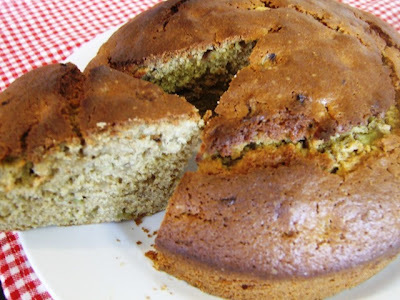 This is a satisfyingly big, sweet and moist cake using the first Irish-grown seasonal fruit. We got some rhubarb in our organic veg basket and I wanted to find a tasty recipe (this has turned into a cake blog somehow!) to use it in. I adapted this to my own purposes from a recipe I found online from Marian McCormack. It has way more sugar than I’d normally use in baking, but what the hell. It smells gorgeous when it's baking too. Serve hot or cold with soya yogurt or soya cream.